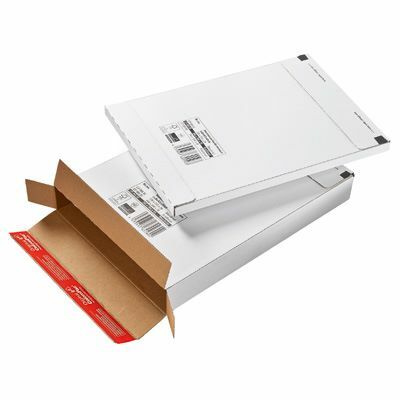 These white ColomPac® courier parcels have reliable high tack self-sealing tabs at both ends that makes for fast assembly and filling without the need for additional sealing materials! 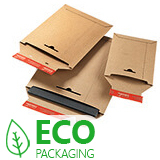 To provide maximum protection they are made without compromise and also come with an integrated tear off strip for fast and easy opening. 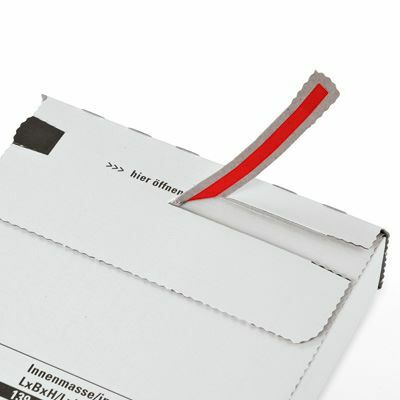 Each courier parcel is perfect for various items up to C4 envelope size and ideal for CD’s, DVD’s, small books, magazines etc. 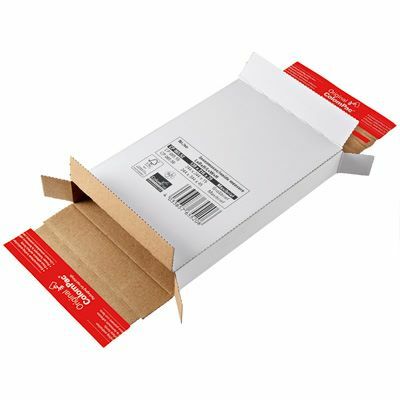 Conveniently sized to match Royal Mail’s maximum large letter dimensions these envelopes are the perfect way to optimise and control your shipping costs. 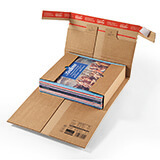 These white ColomPac® courier parcels are extremely quick and easy to use. 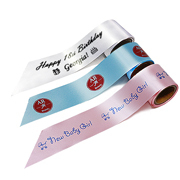 Expertly designed they have high tack self-seal strips at both ends that means no additional tape, wrapping or sealing materials are required! 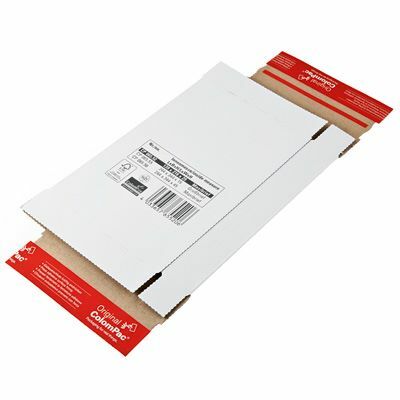 When controlling your packaging and postal costs is paramount these are the perfect choice. Buy more to save more – generous low prices and quantity discounts available! 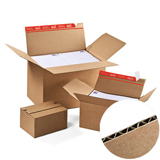 Colompac adjustable height boxes - up to 10 different box sizes in one!